A new sample of liquid goodness recently made its way across the threshold at Vine HQ -- a sample which was definitely a bit of a changeup for your Wine Guy’s palate. This representative from a family of potent potable not seen before in this space is an interesting twist on a common white liquor: G'Vine Floraison Gin. Wine is my usual tipple, but I've been known to drift into the world of distilled spirits from time to time. I enjoy a good gin Martini (or even better, a Vesper...mmm....), but I've not gone on the deep dive into that world of spirits the same way I have with bourbon and rum. I was looking forward to trying this green-capped clear liquor. The description of G'Vine (which I may also use as name of my upcoming mixtape with 50 Cent) proudly states that it's "generously infused with the vine flower as well as over 9 different botanicals." The tech sheet list of botanicals, minus the vine flower, is ten items long, so that's an accurate statement. But why do botanicals matter when it comes to gin? And what really *is* gin, anyway. Gin in its present form was created in the 17th century in the Netherlands. Dutch distillers had been creating a form of neutral spirit flavored with various berries and herbs since the 1500’s for medicinal purposes to treat ailments such as lumbago, kidney stones, and gout. A version for its current use came about in the late 1500’s, when it was known as jenever (yeh-NAY-ver). Gin is generally distilled from either grains or grapes. The neutral spirit created from this process is then re-distilled with some sort of botanical, which imparts the bulk of the herbal flavors. Juniper berries are always the primary botanical (which is why some folks say that gin tastes “like a Christmas tree”), but any number of other flavors, including citrus peel, anise, and many others. G'Vine Floraison, which is neither Dutch or English – instead hailing from the Cognac region of France -- belongs to the “distilled from grapes” category. In addition to juniper, G'Vine uses ugni blanc grapes, coriander, cassia bark (better known as cinnamon), licorice, cubeb berries (similar to black pepper), nutmeg, ginger, green cardamom, and lime. What does this combination of flavors do, in this case? Honestly, I've never tasted anything like this version of gin before. I tried it both in a Martini and in a gin and tonic. This is easily the most aromatic gin that’s ever galloped across my taste buds. My typical gin selections are Hendrick’s and Bombay Sapphire, and neither comes close to matching the strength of the nose here. oweringly perfumey. At first sniff, I was interested, but the aroma quickly became too much when featured on its own in a martini. It was better in a gin and tonic. The bitter flavor of the tonic balanced out the perfume somewhat, but it was still a powerfully scented concoction. On the flipside, it's one of the smoothest gins I've ever tried. Many gins I’ve tried bite hard, but this one has little grip and next to no burn. If you find that the perfume scent is to your liking, it's very drinkable. The best use I found for it was as a mixer. I had some gin in the back of the liquor cabinet that was given to me as a gift once upon a time. I always found the gift gin (which isn’t a brand that you’d likely run into around here) to be a little harsh and I'd gone through it very slowly. I mixed it 2-to-1 with the G'Vine Floraison and made another Martini. (Different day, kids. I’m not that much of a lush!) That worked. The G'Vine gave a nice little boost to the other flavors in the other gin and rounded off the bite. I found the result quite pleasant. If I were going for a gin of my own at this point, I'd probably stick to my tried and true pair mentioned above -- but if you're a gin fan and you're looking for a new experience, or if you have some less expensive gin that could use a little dressing up, certainly consider at least giving this a run. G'Vine runs around $40 for a 750 ml. A bit of a changeup to conclude this little pre-St. Patrick's triple -- a representative from a family of potent potable not seen before in these parts: G'Vine Floraison Gin. ...that is, until I thought about what the reaction would be if I walked into a St. Patrick's Day party carrying a traditionally English beverage. My proudly Irish brother from another mother, The Wizard of Covington, would probably crack me upside the head with a bottle for denigrating the occasion so. However, as G'Vine is a French distillate (from the Cognac region) -- and since both the Irish and the French traditionally dislike the English, I might get a pass. In any case, on to the liquor itself. The description of G'Vine says that it's "generously infused with the vine flower as well as over 9 different botanicals." The tech sheet list of botanicals, minus the vine flower, is ten items long, so that's an accurate statement. But why do the botanicals matter? Gin, in case you didn't know, starts as a neutral spirit like vodka. It's generally distilled from either grains or grapes. G'Vine Floraison belongs to the latter category. The neutral spirit is then re-distilled with some sort of botanical, which imparts the majority of the flavor. Juniper berries are almost always the primary botanical. In the case we have here, in addition to juniper, G'Vine uses ugni blanc grapes, coriander, cassia bark (better known as cinnamon), licorice, cubeb berries (similar to black pepper), nutmeg, ginger, green cardamom, and lime. What does that mean for this particular tipple? Honestly, I've never tasted anything like this before. I tried it a couple of different ways -- in a Martini and in a gin and tonic. I can say, honestly -- this is the most aromatic gin I've ever tried. It's almost overpoweringly perfumey. At first sniff, I was interested, but the aroma quickly became too much when it was featured on its own in a martini. I will say this for G'Vine -- it's one of the smoothest gins I've ever tried. Many gins bite hard, but this one has little grip and next to no burn. If that perfume scent is to your liking, it's very drinkable. On its own, it was better in a gin and tonic. The bitter flavor of the tonic balanced out the perfume somewhat, but it was still a powerfully scented concoction. The best use I found for it was as a mixer. I had some gin around that was given to me as a gift in the back of the liquor cabinet. I always found the gift gin to be a little harsh and I'd been going through it very slowly. I mixed it 2-1 with the G'Vine Floraison and made a Martini. That worked. The G'Vine gave a nice little boost to the other flavors in the other gin and rounded off the bite. I found it quite pleasant. If I were going for a gin of my own at this point, I'd probably stick to my tried and true Bombay Sapphire or Hendrick's -- but if you're a gin fan and you're looking for a new experience, or if you have some less expensive gin that could use a little dressing up, certainly consider at least giving this a run. G'Vine runs around $40 for a 750 ml. I found it quite delicate, flavorwise. It does have a pretty pronounced citrus fruit flavor, but one more in the sweet grapefruit range than many that end up with tart lemon or lime flavors. There’s also a fair amount of creaminess that belies the light body. The finish is more fruity than crisp and isn’t particularly lasting. I can see why this would be recommended as a brunch wine, although at 13.6% percent alcohol, it might be a strong way to start your day. I could see this going nicely with some fruit crepes or other dish that’s got some light cream in the recipe. Pleasant enough to sip on its own, as well. There are a few minor modifications I'd make after the eleven additional months this wine's spent in bottle. It's still perfectly good. The wine's rounded out a bit. The really tart finish at the end has mellowed a little, although there's still plenty of acidity. There's a little astringency starting to form at the end, so if you get a bottle of it, you might want to decant a tad. Do drink it right away. It's not a wine for laying down. The latest retail on this is around $18, so if you're looking for a cheap quaffer for a party, this probably isn't for you. If you're taking Wednesday off to ease your hangover and you find yourself looking for a brunch wine, however, it's a hair-of-the-dog consideration. This winter's thrown my internal clock for a loop. I can always sense the start of Spring in my bones. I get that tickle in my hindbrain that's been around since we, as a species, decided that the whole "walking around on two legs" thing was pretty beneficial. That wonderful tickle that gets all the juices flowing as we head into the season where the world starts waking up again. I've missed that tickle this year. February was so miserable that it flew by as we huddled in our winter wine cave. I suddenly realized, "Deer lawrd...it's MARCH already." It just doesn't feel like March yet. Daylight savings time usually doesn't roll around while there's still six inches of snow. Thankfully, relief seems to be on the horizon -- and we can start thinking about some of our upcoming springtime revelry. One of those revelries is, of course, St. Patrick's Day -- a time when the rivers and the beer often run green. Some long-time readers may have noticed the recent slowdown in posting here on The Vine. Yes, I've not been writing as much as in months past. Some of you can probably guess why, but for those of you who don't -- in my other life, for the last three-plus years, I've been working on my doctorate in Educational Policy, and I'm at a critical point in the writing of my dissertation. Predictably, I haven't had a lot of spare mental energy to crank out wine columns. Fear not. Lord willing and the creek don't rise, I should be through the process in a month or two, and I should be back with a properly thirsty (and hopefully celebratory) vengeance. For now, I'll be handling these potential Oenos Go Bragh one at a time. First up is the Domaine du Tariquet 2013 "Classic" Cotes du Gascogne. I've powered down a lot of white wines from Gascony over the last several summers. Those whites are traditionally light, crisp, and high in acidity. They're wines built to be drunk young -- usually as an aperitif or with a light meal. The Tariquet is no exception. 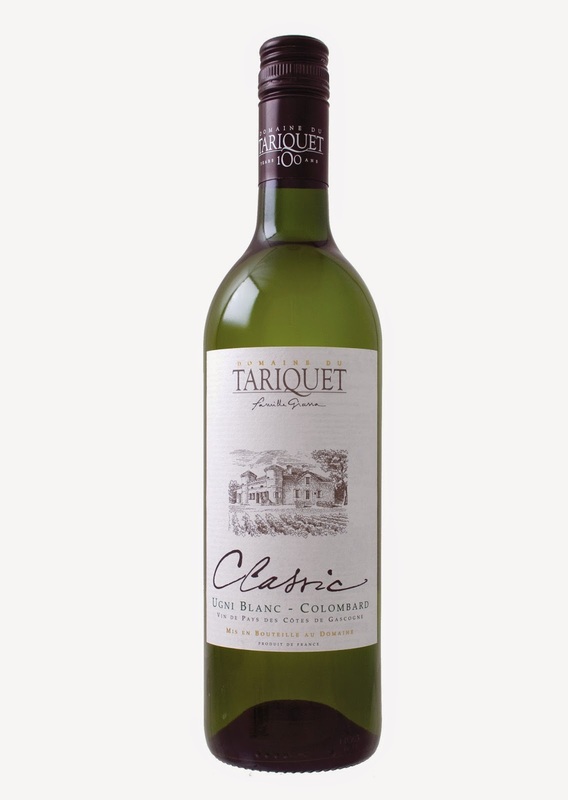 Made largely from a combination of Ugni Blanc and Colombard, with a little Sauvignon Blanc and Gros Manseng thrown in for good measure, the Tariquet starts with a pleasant enough nose of grapefruit and green apples. I was expecting an acidic wine, I should have guessed when I read "serve thoroughly chilled" on the tech notes, but this one knocked me back a pace. Some white wine fans refer to themselves as "acid freaks" when they enjoy wines like this. Maybe my palate's still in winter wine mode, but this is a tart wine. The smell doesn't lie. The flavor is "green," to be sure -- lots of grapefruit and apples at high-pucker volume. I thought it was a little too much for my tastes. The finish, predictably, is clean, crisp, and quick. If grapefruit is a flavor you enjoy and you can get past the initial acid blast, it's a pretty drinkable wine. I'd probably wait a couple of months, at least until my lawn starts growing again and I start doing outside work, before I chased this down. 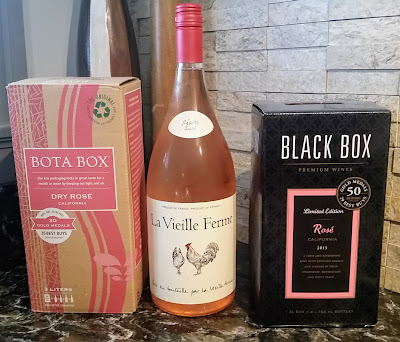 Just the same -- if you're throwing a party and some of your leprechaunic friends are big white wine fans, you could stand to have a couple of bottles around. The Tariquet retails for around ten bucks.